Sweet! I’m going to try to make it during birthday party drop off and pick up… Will your lovely family be there? I miss you all. Yeah, the whole gang will be there-- if we can find it, last year we got totally lost and scrambled in late! Mapquest.com…. I know, it’s kind of new, but it may help. Leea, it was Mapquest that GOT me lost. Remember the massive road construction in SLC in 2007? Mapquest doesn't, because it never acknowledged it. I thought it was at the King's English tomorrow. Did I get my wires crossed? Oh, Yes… I remember. If you get lost again, give me a call, I can talk you through it. Oh gosh, thank you! Good thing I follow your blog, eh? 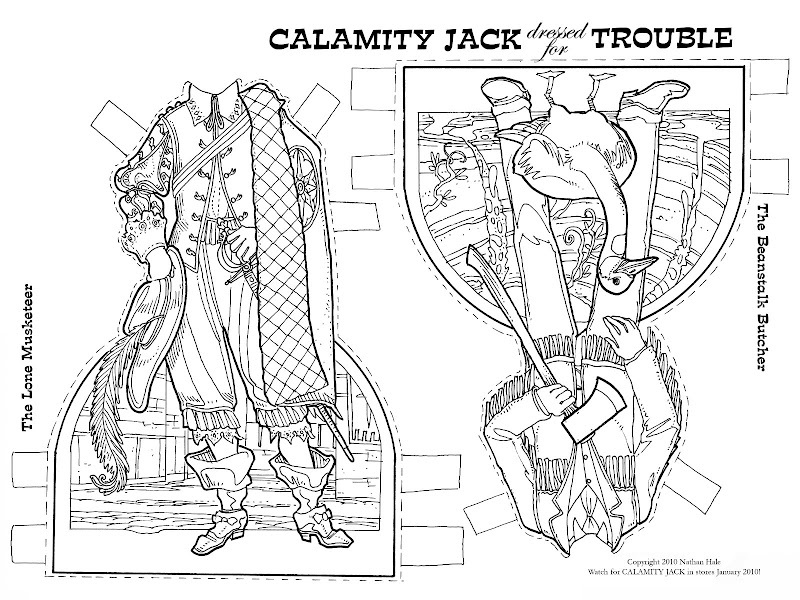 I read calamity jack last night and loved it! Your artwork is amazing!